Did you get your picture taken at the Emerging Professional Social or Grand Finale Gala photo booths while you were at the conference? All the photo booth pictures are posted on our Flickr page. Check them out, to download yours today. New for 2018: All ISEE members now have free access to the online research database OneMine. It’s home to more than 124,000 articles, technical papers, books in the explosives, mining, minerals and tunneling industries. Along with ISEE technical papers, members now have free access to papers from SME, NIOSH, AusIMM, CIM, SAIMM, TMS, IMPC, DFI and IIMP. To access OneMine, ISEE members need to log in to the ISEE website first. Once in the members section, click on Research Papers and Proceedings. From there, members have two options to choose from. ISEE Explosives Reference Database Online contains only ISEE related papers and articles leading up to 2000. 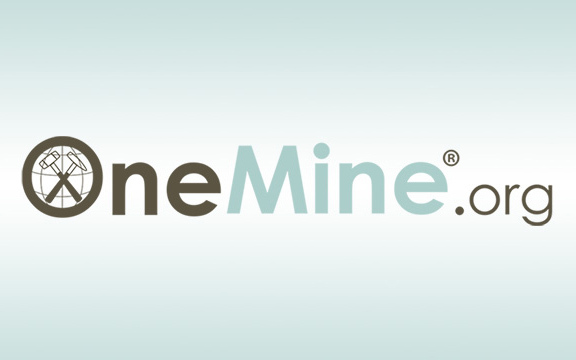 OneMine contains ISEE documents from 2001-2017 as well as all the 124,000 documents from other organizations. 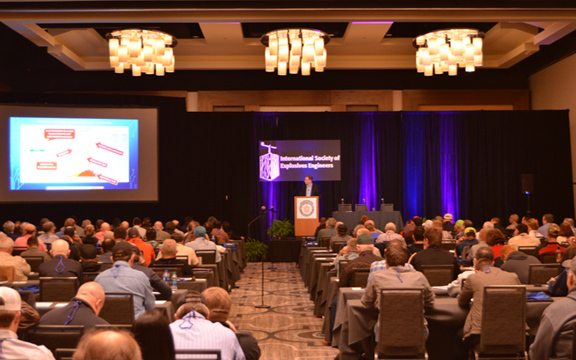 More than 1,700 people from around the world met Jan. 28–31, 2018, in San Antonio, Texas, for the 44th Annual Conference on Explosives & Blasting Technique, the world’s largest conference on explosives engineering. During the conference, keynote presenter and astronaut Mike Mullane spoke about the space shuttle Challenger disaster and emphasized the importance of safety. The new online SEE Education Foundation auction, which concluded Tuesday, Jan. 30, raised more than $11,000. Big-ticket items included rare vintage Atlas stamping plates, a lifetime ISEE membership and a helicopter tour in Alaska. David Siskind, Ph.D., DE Siskind & Associates (DESA), was inducted into the Explosives Industry Hall of Fame. He becomes the second person to be given such honors. Several other industry members who throughout the year have made exceptional contributions to the explosives and drilling fields were also given awards at the conference. Michael Cechanski, STT-Surfex Technology & Trading, won the Distinguished Service Award; Paul Worsey, Missouri S & T, was honored with the Industry Service Award; Nancy Allen, HTA Enterprises Inc., was awarded the Blaster's Leadership Award; Patrick Garven, Finndrill Inc., was honored with the Driller's Leadership Award; Catherine Johnson, Missouri S & T, was awarded the President's Award; and Ryan Brogden, Department of Natural Resources, Mines and Energy, won Paper of the Year. After completing his two-year term, Jack Eloranta handed over the reins and gavel to the new ISEE Board President Jim Daley. 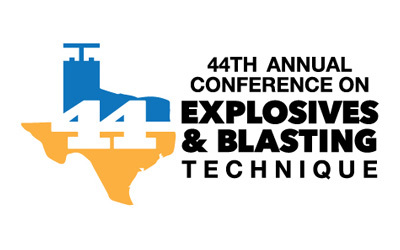 The next Annual Conference on Explosives & Blasting Technique will be from Jan. 27 – 30, 2019, at the Gaylord Opryland Resort in Nashville, Tenn.
Get ready for the 44th Annual Conference on Explosives and Blasting Technique by downloading the official mobile app to help you maximize your time at the event. Download the app today to view the complete schedule and add your favorite exhibitors and sessions to the personalized planner for convenient on-the-go access before and during the conference. Be sure to check the app often. More information will be added soon. 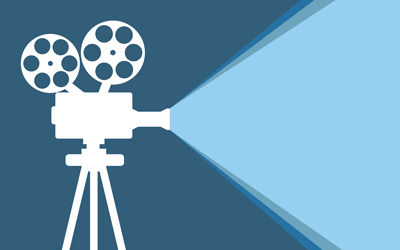 The deadline to submit your video is Monday, Jan. 8. Submit yours today.